‘Sweet Country’ director Warwick Thornton (second from left) and stars Matt Day, Bryan Brown and Sam Neill in Venice. 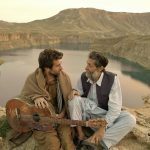 The world premiere of Warwick Thornton’s period Western Sweet Country in competition at the Venice Film Festival has been warmly received by critics. The 1920s-set drama starring Sam Neill, Bryan Brown, Ewen Leslie and Matt Day seems assured of a healthy international cinema release, judging by the first reviews. Memento Films International is pitching the film produced by Bunya Productions’ David Jowsey and Greer Simpkin to buyers, while Transmission is the Oz distributor. Scripted by David Tranter and Steven McGregor, the saga follows Aboriginal stockman Sam (Hamilton Morris), who kills white station owner Harry March (Leslie) in self-defence. 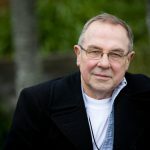 Screen Daily’s Lee Marshall lauded the film as a milestone for Australian Indigenous cinema, which he expects will travel extensively after the Venice premiere. Marshall saw echoes of The Searchers in Thornton’s ravishingly shot, resonant Indigenous Western that explores issues of Australian identity and the disenfranchisement of the country’s native peoples. The Hollywood Reporter’s David Rooney said Thornton successfully marries the archetypal characters and scenario of a traditional Western with a culturally specific grounding in Australian history, politics and folklore. 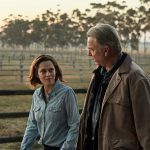 In a director’s statement, Thornton said the narrative is based on a true story related by the writer David Tranter of an Aboriginal man, Wilaberta Jack, who in the 1920s was arrested and tried for the murder of a white man in Central Australia. Sweet Country was backed by Screen Australia’s Indigenous department in association with Create NSW, Screen Territory, South Australian Film Corporation and the Adelaide Film Festival, where it will have its Aussie premiere in October.